Plaintiff’s claims that all the physical and emotional injuries she suffered were related to the collision with the defendant’s car were challenged by the defendant. The defense produced experts linking the pain, disability and emotional disturbances experienced by the plaintiff to conditions that existed prior to the accident and others that were unrelated to the collision. One defense expert went so far as to state in his testimony that plaintiff’s emotional complaints were caused by a mental illness that existed prior to the car accident. One of the doctors who testified on behalf of the plaintiff characterized her as having an “abnormal brain” prior to the accident. This might at first appear to support the defendant’s claim that plaintiff’s emotional disturbances were preexisting and unrelated to the accident, but the expert’s reference to the eggshell plaintiff rule during his testimony appears to have tipped the case in favor of the victim. The expert’s recommendation that plaintiff receive up to five years of treatment and other services for her emotional issues and testimony from other doctors about the victim’s long-term physical disability and the need for pain management treatment appears to have been favorably received by the jurors. The award for future medical treatment and lost earnings was $1,332,225. Eggshell plaintiffs are individuals with preexisting medical or psychological conditions that make them susceptible to suffering injuries far worse than would be suffered by an otherwise normal person under similar circumstances. Law school professors use a hypothetical victim with a skull that is as thin as an eggshell to teach future attorneys the legal principle that defendants take their victims as they find them. In other words, a negligent defendant, such as the Sacramento driver, is liable for the injuries suffered by a victim even though someone without a preexisting emotional and medical condition might not have been as seriously injured. California follows the eggshell plaintiff rule, and judges in cases, such as the one in Sacramento, instruct jurors to award damages to a victim even if the evidence shows that someone without a preexisting condition might not have been suffered the same injuries. The fact that the plaintiff was more susceptible to emotional disturbances due to her abnormal brain function did not relieve the defendant from responsibility once defendant admitted to being liable for causing the accident. Someone injured as a result of the negligence of another party might benefit from consulting with a personal injury attorney. 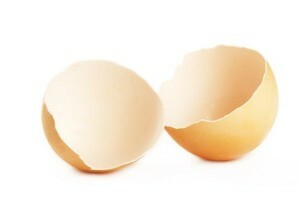 Legal principles, such as the eggshell plaintiff rule, can make it difficult for an accident victim to fully understand his or her compensation rights. The legal advice and guidance of an attorney might help by addressing a victim’s questions and concerns.